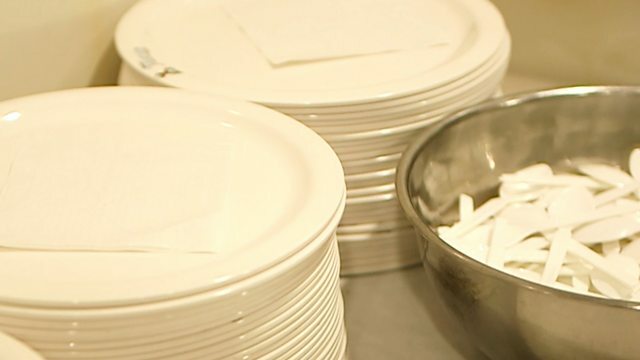 BBC - Plastics Watch, How do you feed 400 people without using plastic? How do you feed 400 people without using plastic? The Jalaram Temple and Community Centre was getting through hundreds of pieces of single use plastic feeding its community, but after being inspired by Blue Planet II, one worshipper decided to find an alternative. It took a trip halfway around the world to find a solution.